Katie Hamer carries writing her A-Z of our fine city – today, she’s looking at the city’s accent! Kaairdiff indeed! I touched upon the Kaairdiff accent in my article, ‘H is for the Hennessys’. I realised what makes the accent special is its unique way of telling things. As Banarama sang, ‘It’s not what you say, it’s the way that you say it.‘ This is also true for the city’s distinctive accent. Thinking along these lines intrigued me. I wondered how I could express the spirit of an accent in an article. Then I discovered ‘I Loves the ‘Diff’. What this company have done is truly amazing; they’ve captured the city’s way of telling things in an original and quirky way. Your logo is a play on the classic New York logo. When I first read it, I thought you meant ‘I loves the difference’ LOL! 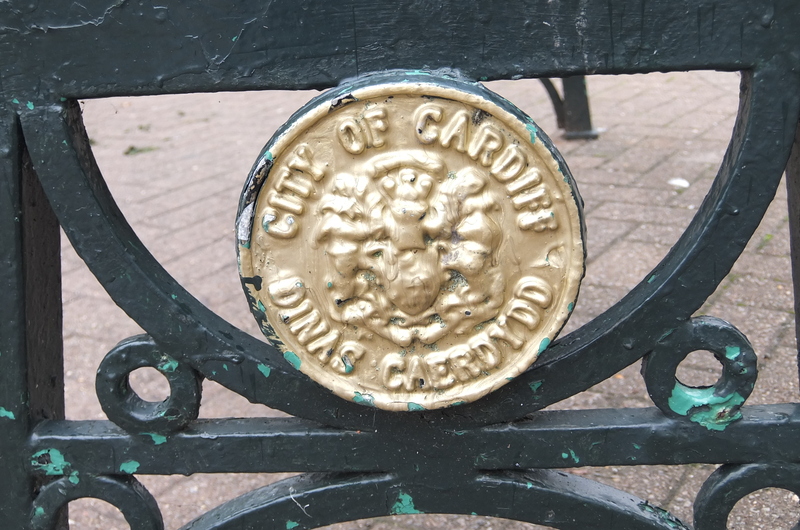 What do you think sets Cardiff apart from other capital cities? Where d’you want to start? It’s pretty small for a capital city, which makes it unusual and also a fab place to live; it’s the youngest capital in Western Europe – not sure if you can compare a city to a human’s development, but Cardiff’s both growing and growing in confidence, and lots of exciting things are happening here – maybe the ‘Diff awkward teens are behind it and its about to swagger into its roaring 20s? Or maybe that’s just a terrible analogy! So, Cardiff is your home city. What are the places of which you are particularly fond, that are special to you? I really like the Bakers Row and the street it comes off for some reason, and not just because Metro’s is on it. 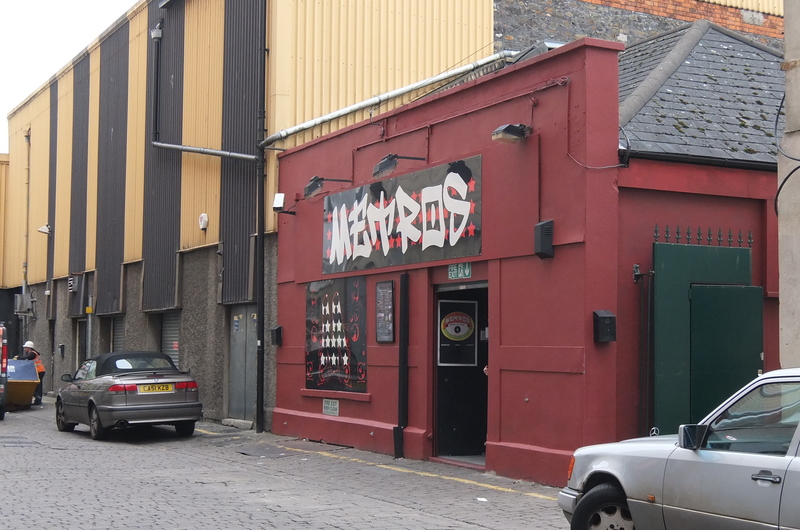 My parents met in a club in Bakers Row according to legend so maybe that’s why. 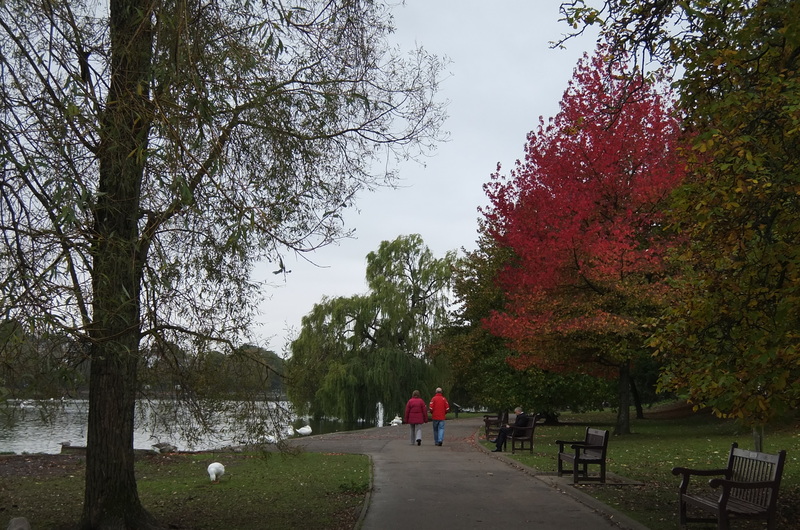 Roath Park has a place in the heart of many a Cardiffian – it’s the place you’re taken as a kid. So many afternoons spent here with relatives and friends. 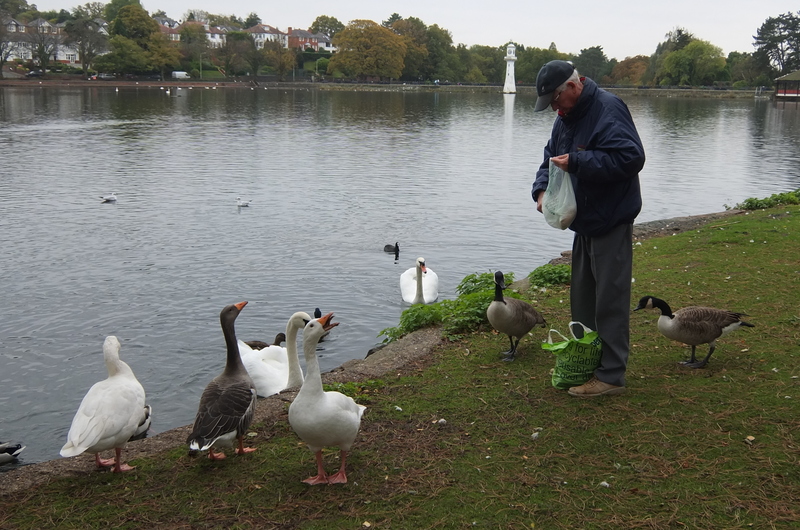 I remember my Uncle Gino bought some ducklings from Splott market and once they became too much of a handful, we released them on the lake. When I was even younger, my grandad would take me on regular outings up the Wenallt – so that holds some great memories. Lavernock Point is another lush place – close to the city but away from it. Another place to think, to regain perspective. There are loads of great places. I’m quite fascinated by the way although we share a space, there are so many memories, like ghosts, on every corner of incidents and happenings in people’s lives. 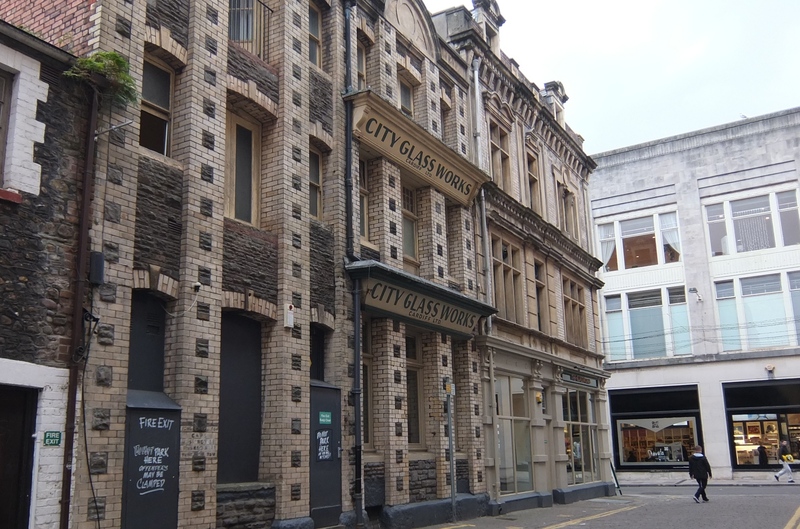 I’m jealous of the way every building offers a different view of Cardiff. Which means we all see it differently. Not that I sneak into people’s homes and offices to look out of their windows – though I like delivering to office blocks in town and the Bay for the views. 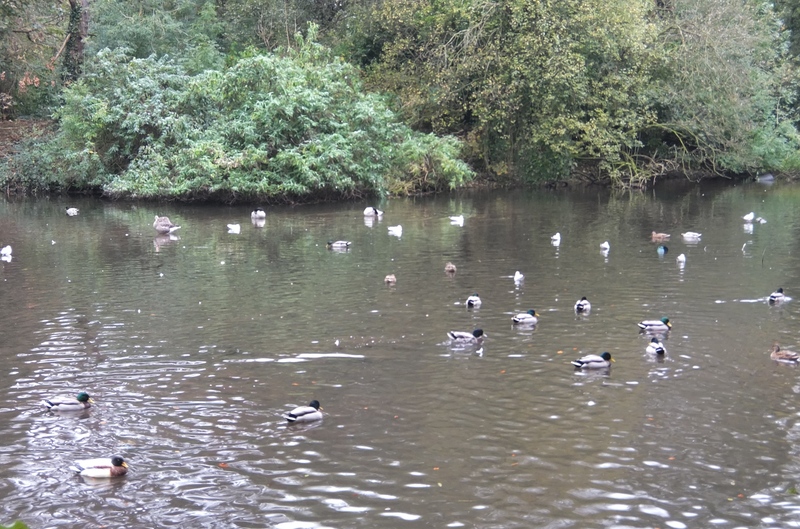 Are these ducks the offspring of Uncle Gino’s ducklings? Have you ever lived anywhere else? Would you think about living anywhere else? If so, where? I’ll always live here, if only for tax reasons! I’ve lived in salubrious Swansea (at university), in Italy, and in London. I actually lived in rural Sussex for a tiny bit too, which was great. It’s well posh down that way. I thought I’d wandered into a Sunday evening ITV drama.In London I lived on a boat near the Albert Bridge for a bit, and later [with] my wife in Islington. (I’d been looking for her everywhere.) Being half Italian it was an amazing experience living in Italy – far more gay men than the national stereotype of womanising lotharios would suggest, but it’s like living on a film set the entire time. Even stopping to tie your shoe laces suddenly becomes some grand gesture. I suppose it helps to live in other places, and certainly to see them, to be able to appreciate where you’re from. It’s one thing to blindly love your hometown, but it’s quite another to see the world and come back and still love it. What inspired you to set up this business? Did you have a ‘eureka’ moment? If I did I wasn’t paying attention. I just admired the Glaser-designed NY classic and started playing with a Cardiff version. No one seemed excited by my design until I thought of the ‘s’ after the heart – it went from there. It wasn’t a business – the aim wasn’t to make a million pounds and retire to Flat Holm. 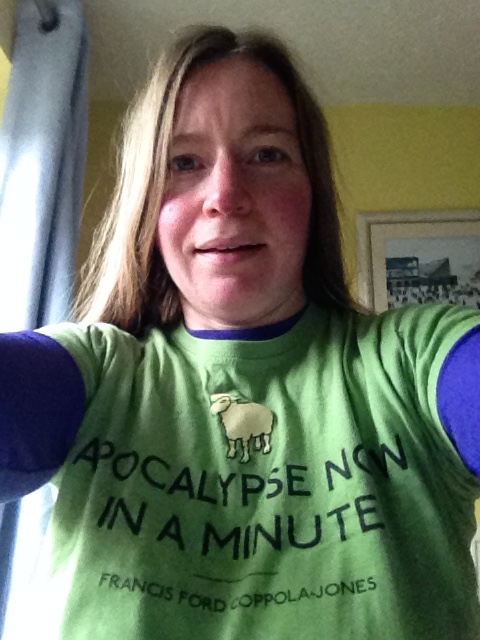 No, I just wanted to see someone I didn’t know wearing the t-shirt. Never having designed a t-shirt before, everything that is now a part of what has slowly evolved into a business was brand new to me. It’s been a slow learning curve, and the business came about as a natural result of how things slowly grew. Most of it, like the Taffywood Welshified film and book title range, has been a series of happy accidents with no master plan of any kind. I’m glad you like that one. 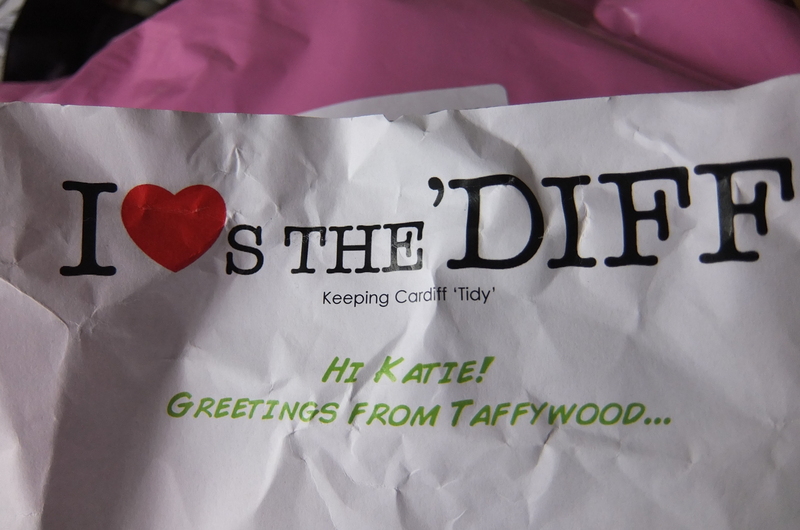 It’s actually one of our most popular Taffywood titles. It’s on mugs and cards too. It felt a bit like Apocalypse Now In A Minute round here during the NATO Summit, didn’t it? Other fab titles from that range include Cwtch Me If You Can, From By ‘Ere To Eternity, When Barry Met Sully, Cwtch-22, The Llandaff Time Forgot, and Llanishen Impossible. There are loads of them. What’s your favourite product? Have their been any unexpected successes? Having zero design or retail experience when this started, it’s all been an unexpected and fun adventure. And it’s always hard to predict what will be popular, that’s for sure. I loves everything we do, but I suppose the Cardiff Underground map is my favourite thing. It took quite a while – I even shelved it for six months around the time I got married – and then to think of all the people who’ve since enjoyed it, well, it’s a lovely thing really isn’t, to have people like something you’ve created. I’m very grateful. What’s next for the ‘Diff’? What new products can I look forward to? We’re doing a wall calendar for 2015, launching a new logo, doing the popular Cardiff Heart poster in six lush colours at A3 size, we want to do some films, and want to break into the perfume market. Expect only 10 per cent of that to actually happen, mind. Thank you Christian, for responding so enthusiastically to my questions. I shall definitely be adding your quirky designs to my Christmas present list!